Styled with katy sweater , dowling shirt and continental 80 shoes . 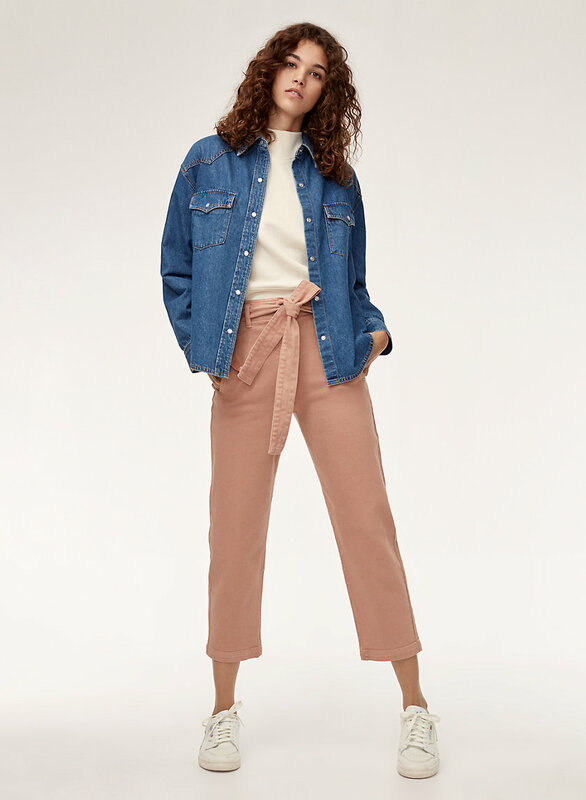 Simple, flattering and easy: These high-waisted pants are cut from sleek cotton twill that hangs just right and stays looking polished all day. 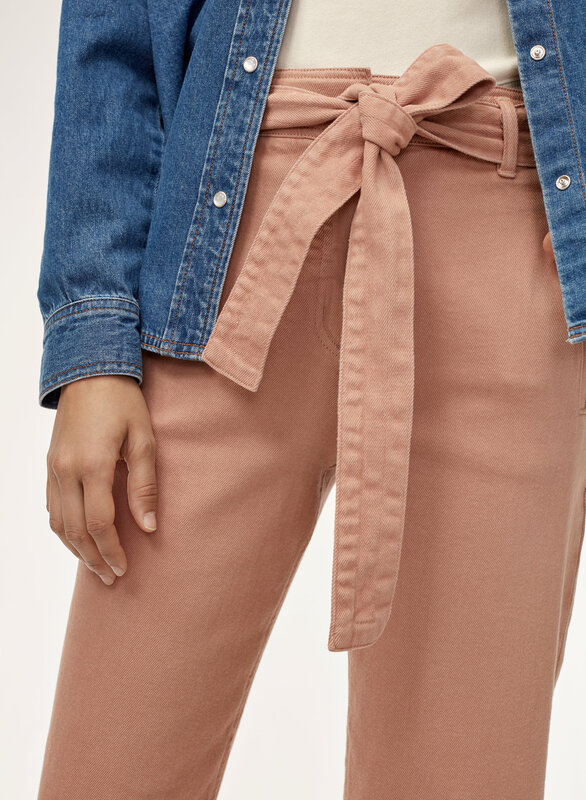 The Jallade pant has one of the most flattering cuts imaginable! Although I was a little disappointed with the fabric - it's quite a bit thicker and rougher than I expected which isn't great. The black colour also seems quite faded. I am keeping them, but I think they would be better in a slightly more lightweight and less denim-like twill! 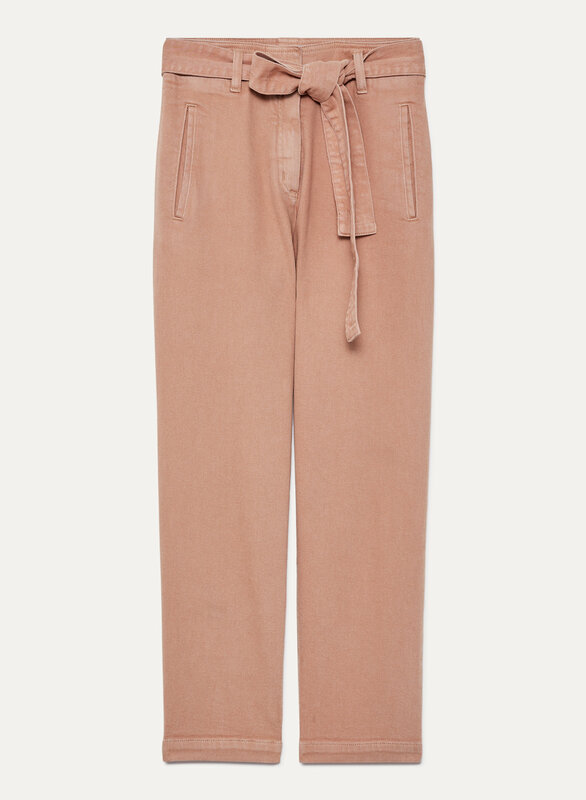 the material is really good, comfy and i really love this pant, i reviewed all the comment before i ordered and most said the size is smaller than usual but i purchased size 4 at first and the waist is larger than usual then i changed it for 2, it still a bit large for me, so i recommend try it in store, besides, its perfect!!!! I love these amazing pants!! They do fit small so I'd say go up a size!